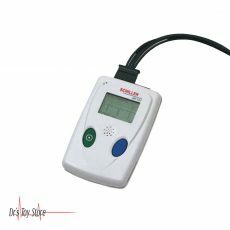 New and Used Holter Systems are for Sale at The Dr’s Toy Store. Buy Holter Systems now for the Best prices. The Holter monitor which is simply referred to as Holter in medicine is a type of ambulatory electrocardiographic device. The Holter is a portable cardiovascular monitoring device which is used in the monitoring of the electrical activity of the cardiovascular system for at least 24 to 48 hours often two weeks at a time. The most common use of Holter is the monitoring of ECG heart activity (electrocardiography or ECG). The extended recording period of the Holter can sometimes be used for observing occasional cardiac arrests that would be difficult to identify within a short period of time. For patients with more temporary symptoms, in this case, a cardiac event monitor that can be put on for a month or more has been found to be useful. 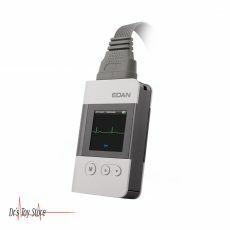 At the time the Holter is used to study the heart, as well as standard electrocardiography, the Holter monitor records electrical signals from the heart through a series of electrodes which are connected to the chest. The electrodes are placed on the bone in order to reduce the artifacts associated with muscle activity. The number and position of the electrode differ by model, but most Holter monitors use between three and eight. These electrodes are attached with a small piece of equipment which is connected to the belt of the patient or it can be hanged around the neck which keeps the log of the heart’s electrical activity throughout the recording period. A 12 lead Holter system is also available when precise ECG signal information is needed to analyze the exact nature and origin of the rhythm signal. The Expert Holter Software PCH-200 is a user-friendly Holter monitoring system and it is a customizable system which helps to enhance the practice efficiency and EHR compatibility by making the workflow easier. With additional detailed analysis and comprehensive editing tools over the PCH-100, the PCH-200 offers easy use of software and recorders to improve patient compliance simply because of their lightweight and compact profile. The software can be configured with a compact digital recorder with 2 or 3 channel recording for detailed evaluation. The EC-3H Holter Recorder allows 1, 2, and 3 channel recordings and this has to do with the recorder and type of patient cable that is used. The Cardiospy analysis software provides excellent ECG recordings. The effective automatic evaluations and editing functions allow you to estimate nearly 100% accuracy in the shortest time possible. The program performs rhythm analysis, ST, QT, AF, time and frequency based HRV, and it calculates HRT and uVTWA parameters as well. The software is very user friendly: it provides a wide range of editing and printing capabilities, is compatible with the use of the network, and it provides a wide range of languages that you can select from. 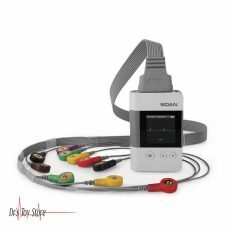 This type of Holter makes it easy to achieve 1, 2 channel recordings and this depends greatly on the type of recorder and the type of patient cable that is used. The Cardiospy analysis software provides excellent ECG recordings. Effective automatic evaluations and editing functions allow you to estimate nearly 100% accuracy in the shortest time possible. The program performs rhythm analysis, ST, QT, AF, time and frequency based HRV, and it calculates HRT and uVTWA parameters as well. 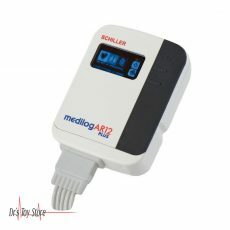 Same as EC-3H 3-CHANNEL HOLTER ECG SYSTEM, it is also user-friendly and it also provides a wide range of both editing and printing options and it is also compatible with the network and provides different language options that you can choose from.